With this recent run of rainy weather, you might find that you and your little ones are spending more time inside. If you’re in search of a fun indoor (energy burning) activity, this is it. 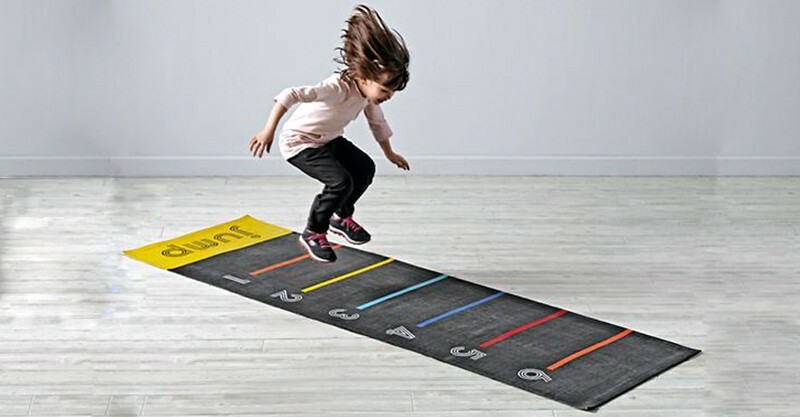 The Leaping Long Jump Mat ($99) from Land Of Nod lets your little babes test how far their leaping legs will take them. I can’t imagine a better way to pass time on a cold and rainy day when going to the park isn’t an option. For safe jumping, the underside of the mat is backed with a non slip latex. The cotton upper surface is marked with bold numbers and colourful marking to keep track of their personal best. There is no more days spent inside with nagging and restless kids at your feet; these mats will keep them occupied. Once you kiddies are all jumped out they will be more then happy to hide away in one of these fabulous playhouses. 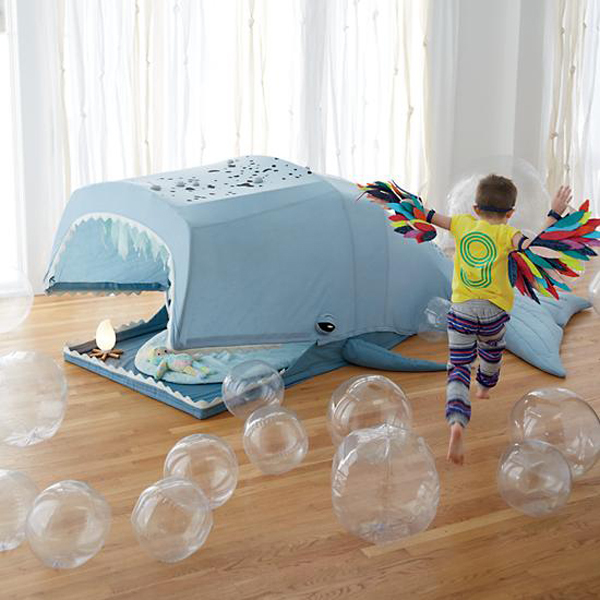 They’ll have a whale of a time in this imaginitive Great Whale Playhouse ($438). Not only will they love prentending to be swallowed alive (just like Dory) but it also adds a whimsical touch to any room. 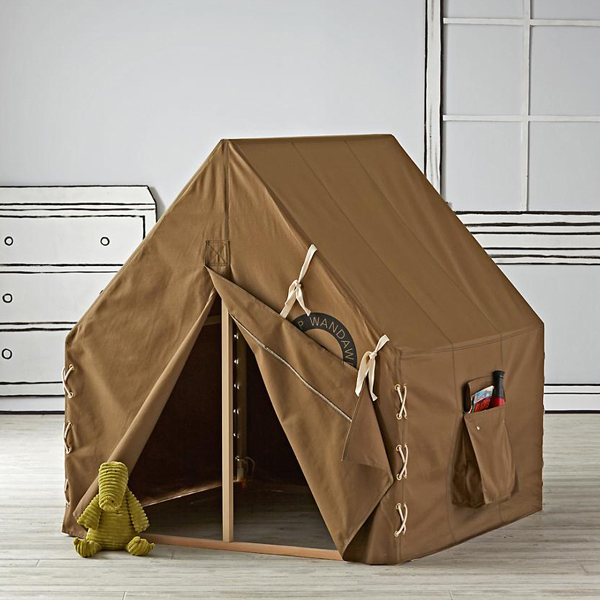 For little campers this Explorer Playhouse ($292) is the perfect resting spot after a long day. 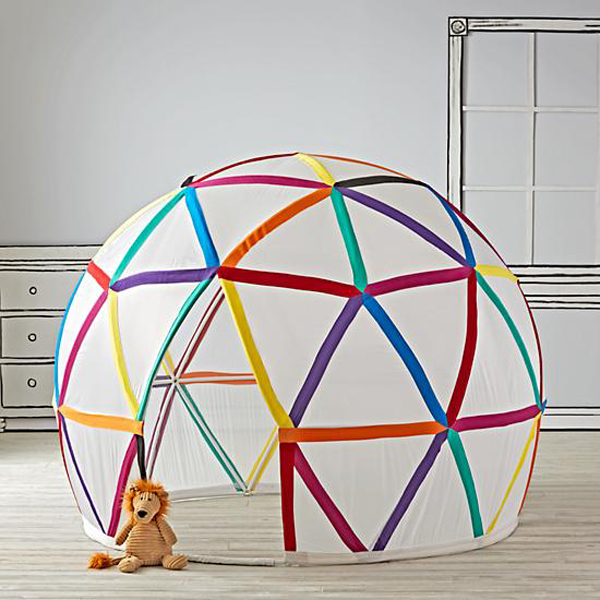 Big, bright and roomy, their Geodome Playhouse ($292) will fit your little one and their friends, making it perfect for playdates and a great addition to any room. You can order online directly from Land Of Nod, which now ships to Australia.